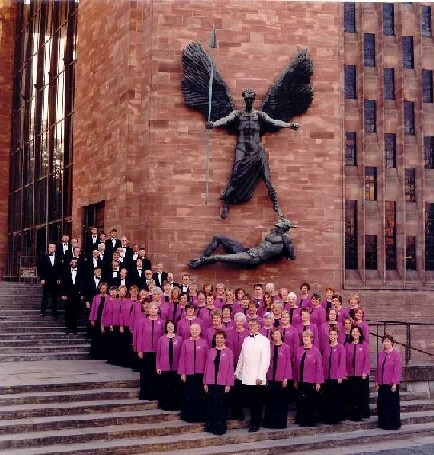 Description: Based at Coventry Cathedral (the cathedral choral society). Concerts mainly in the cathedral and Midlands area, but occasionally elsewhere (London, the North etc). Information for prospective new members: We pride ourselves on being an amateur choir with professional standards.Our repertoire is extensive, from the great choral works to the musical theatre, madrigals and motets.